On behalf of Continental, WIRED enlisted a tech-expert to visit key technology conferences to discover the latest innovations that are poised to influence the business travel experience. 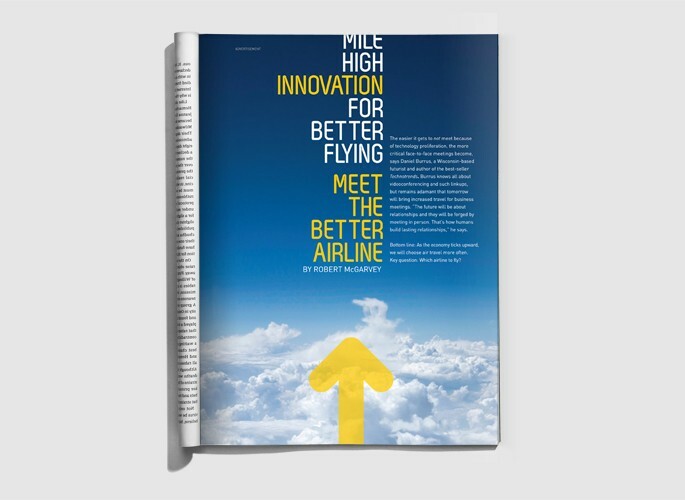 Print: A four-page gatefold highlighted Continental’s commitment to delivering exceptional service to business travelers. 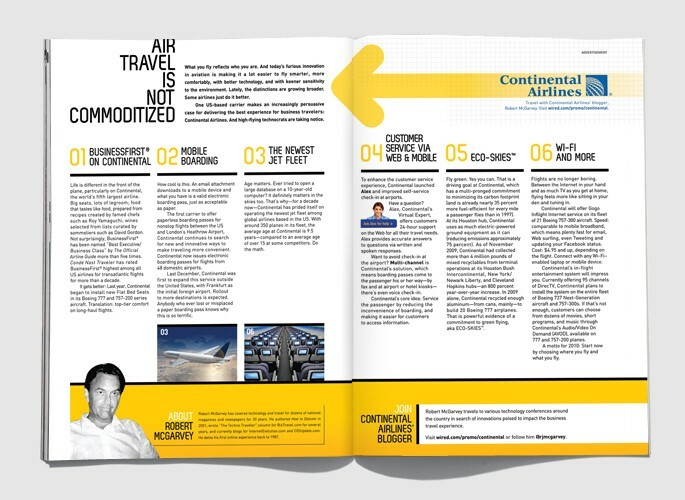 The insert focused on Continental’s industry-leading technological advances and plans for future improvement. To culminate the program a single-leaf-insert recapped trends discovered at the technology conferences. 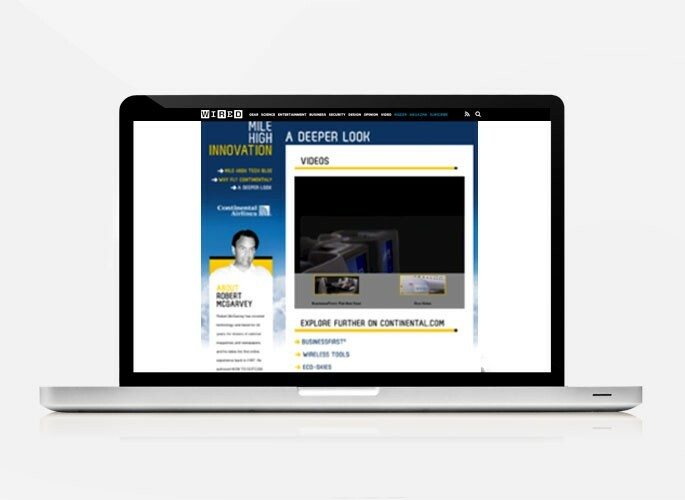 Digital: A custom blog featured insights from the technology conferences, personal blogger experience when flying Continental, and additional advertiser content with social media add-ons. Sweepstakes Overlay: An exclusive trip giveaway for two to Seattle, WA for a VIP Boeing Facility Tour and a WIRED prize package. Sweeps received over 16,000 entries.